WorldMovieStore - Santa s workshop is located high above the North Pole in a Toyland castle in outer space, where he plays the organ and keeps watch over the children on earth through specialized equipment, while readying his mechanical reindeer for Christmas Eve action. Santa also receives a magic key that will unlock any door on Earth from Vulcan himself! Read More Sinopsis. 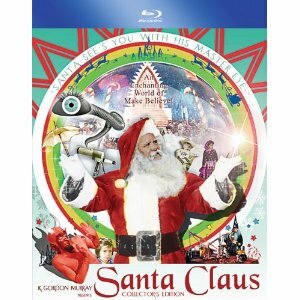 0 Response to "Blu-ray Release Santa Claus"